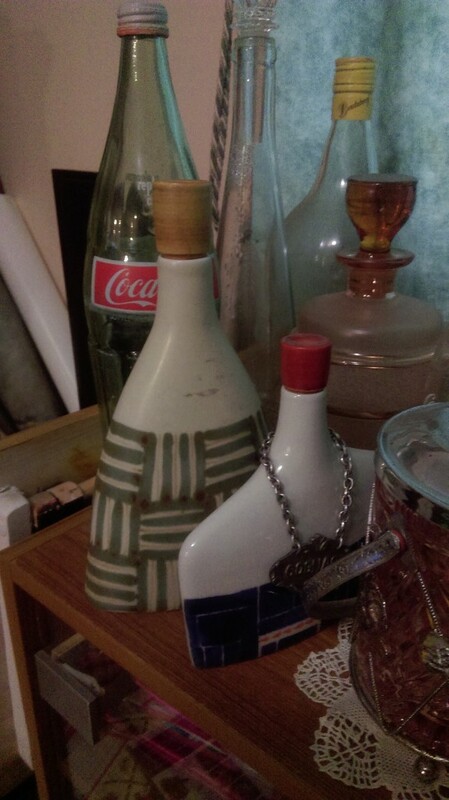 Mum kept these lovely retro bottles from the 1960's. This was how they used to sell alcohol in bottle shops - not in glass. I reckon they should go back to this - not only is it stylish, but it's biodegradable. @digitalrn They sure do! Mum just couldn't let them go! And into my retro house they went!